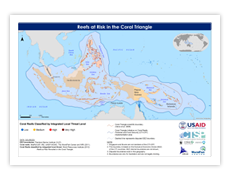 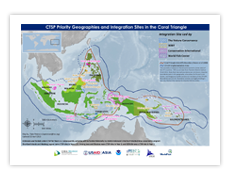 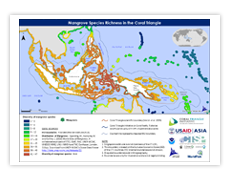 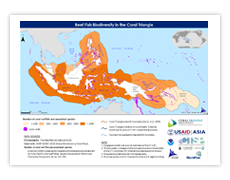 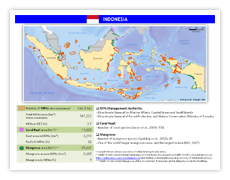 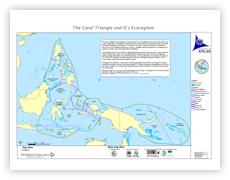 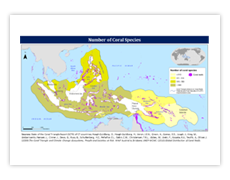 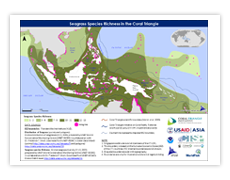 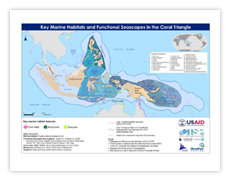 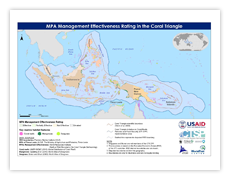 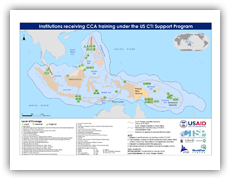 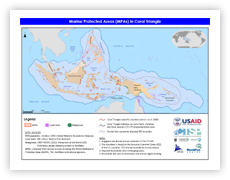 Display locations where four international NGO's are currently supporting the conservation efforts in the Coral Triangle regions. 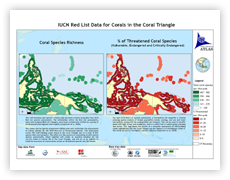 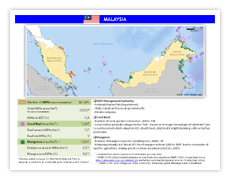 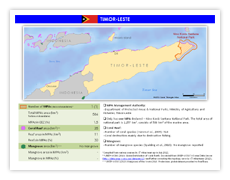 A reef-building coral species richness map created from IUCN Red List species assessment data. 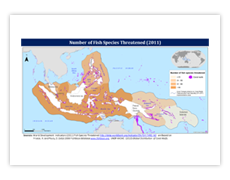 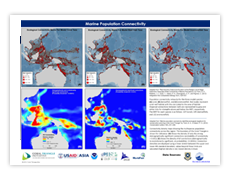 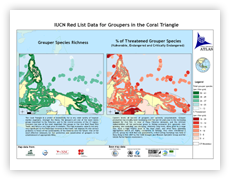 The grouper species richness map created from IUCN Red List species assessment data. 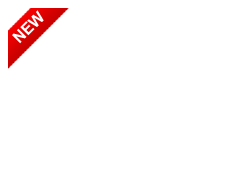 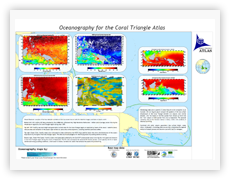 Features maps of Sea Surface Temperature, Bioproductivity, Ocean Wind Speed, Climotology data and other oceanic parameters. 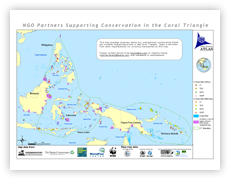 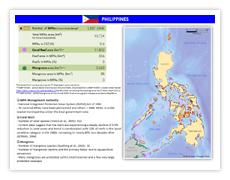 Displaying 11 delineated ecoregions which will be used as the basis for conducting ecoregional conservation assessments and to identify priority areas for conservation. 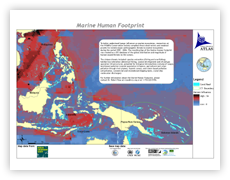 This map displays the global distribution and magnitude of human-caused threats to the oceans based on 16 identified threats. 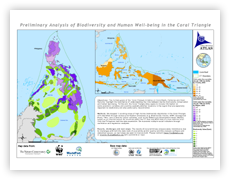 Highlights the importance of the links between marine biodiversity conservation and human well-being. 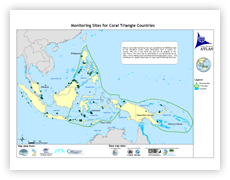 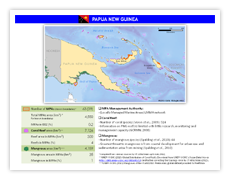 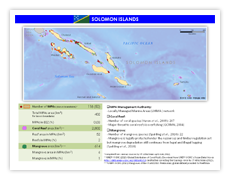 Data on coral reef monitoring sites as compiled by ReefBase using information from a variety of coral reef global assessment and monitoring activities.